Every year the world’s leading stove manufacturers add new designs to their collections or make improvements to existing models. Chimeneas have long been used for heating and cooking whilst traditional designs can be traced back to Spain and its influence on Mexico. Having so many different stoves to choose from in various fuels, shapes and sizes can be a blessing, but with so many different brands to read up on, it can also take some time to find the right stove for your home. Our team is often asked what size stove is required to deliver a snug and relaxing room temperature, but to get a clear answer, a few measurements need to be noted down. It’s a wonderful feeling when you finally find the perfect stove for your home, especially if you’ve spent hours researching different products from leading manufacturers. If you want your stove to make a statement, why not choose a double sided model? Our stylish collection will give you plenty of choice, allowing you to find the perfect stove for any room. Multi fuel stoves make a versatile and attractive addition to any property. At UK Stoves, we stock a variety of beautiful Hunter wood burning stoves to suit modern or traditional buildings. To celebrate Easter, UK Stoves are offering 10% off all stock and we will be running this promotion from Friday 3rd April (Good Friday) to Friday 10th April. Every stove in our product catalogue is included in this sale, as well as accessories, fire pits and chimineas. UK Stoves is pleased to announce the arrival of the new Zoe 5 multi-fuel stove, an efficient cast iron 5kw stove that’s designed to last. A stylish stove looks picture perfect beside the Christmas tree and knitted family stockings, and UK Stoves would like to wish you all a very cosy Christmas. It’s that time of year again, our 10 percent discount is back, and it runs from Saturday 8th November to Sunday 16th November 2014. A wood burning stove can make a tremendous amount of difference in a room, not just because it works as a new eye-catching feature in a home, but because of the desirable amount of heat it can provides. Following the popularity of the 2013 event,, UK Stoves will once again holding an annual stove show between Saturday 13th and Sunday 21st September. 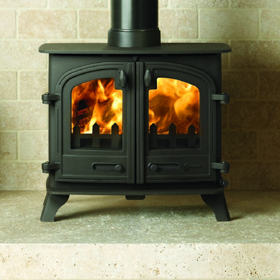 UK Stoves has a broad range of Villager stoves available at competitive prices. You’re guaranteed a reliable British build, a traditional design and elegance when you opt for a Villager multi fuel or wood burning stove. To celebrate the start of summer, UK Stoves are offering 10% off all stock from Friday 27th June to Monday 30th June. UK Stoves are offering 10% discounts on all of our products, including wood burning stoves, boiler, multi-fuel, gas, electric and coloured. Wood burning stoves have come a long way in recent years, especially in terms of style, and there are plenty of different contemporary wood burning stoves to choose from. Log burners are not just the ideal addition to a person’s home because of the heat they provide, they can also be a standout feature and there are plenty of classy styles to choose from. There’s no better time to sit around a stunning cosy stove with friends and family than on Christmas Day, and we’d like to wish all of our visitors a Merry Christmas and a Happy New Year. Each and every Aarrow Stove is handcrafted, that’s perhaps why they’re the only stove manufacturer to offer a lifetime guarantee on the stove body. These stoves are built in Devon, while many of their materials are sourced from the UK. Whether you require a multi-fuel burning stove to compliment a fireplace with a modern surround, or even a traditional inglenook, we have the right one for you. We have a wide range of Hunter Wood Burning Stoves available online. 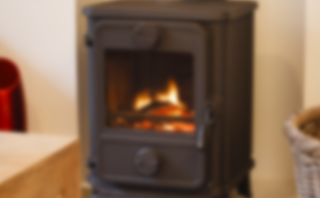 As its name suggests, wood burning stoves are only appropriate for the burning of wood, whereas a multi-fuel stoves are also capable of burning coal.